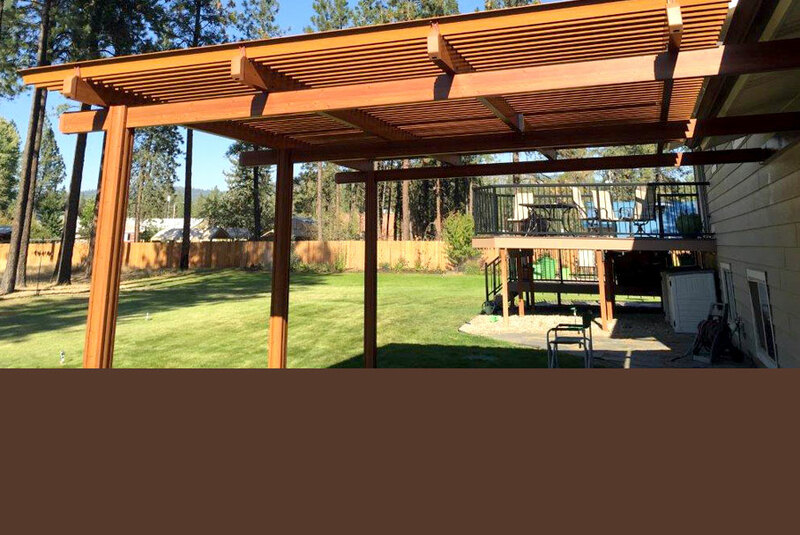 The low maintenance patio cover offerings at Alpine include Weatherwood Insulated Panel, Adjustable Louver Roofs, Lexan Skylights, and Elitewood Pergola Lattice in addition to affordable aluminum roll formed flat or W panel systems. 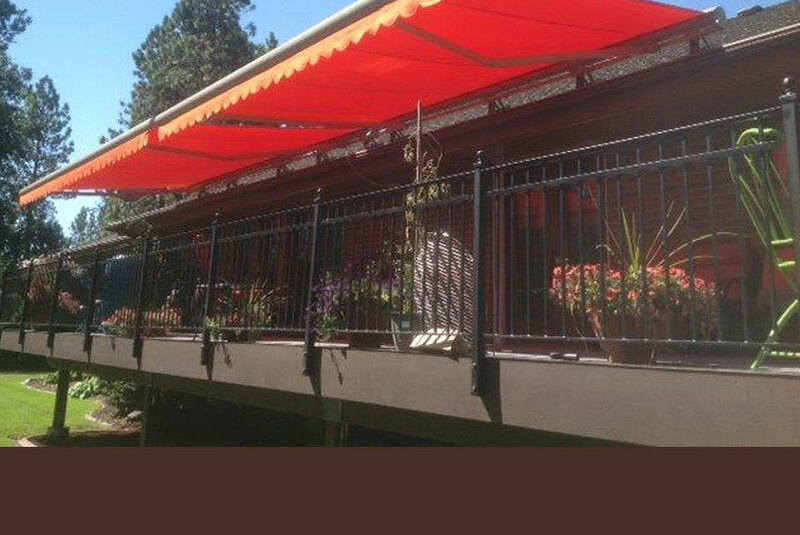 Retractable fabric awnings and canvas shades offer comfort and UV protection for patios, windows and doors in motorized or manual operation. 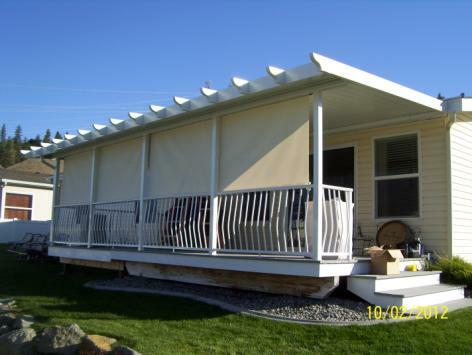 Control unwanted glare and heat gain with exterior sun shades for decks and windows. 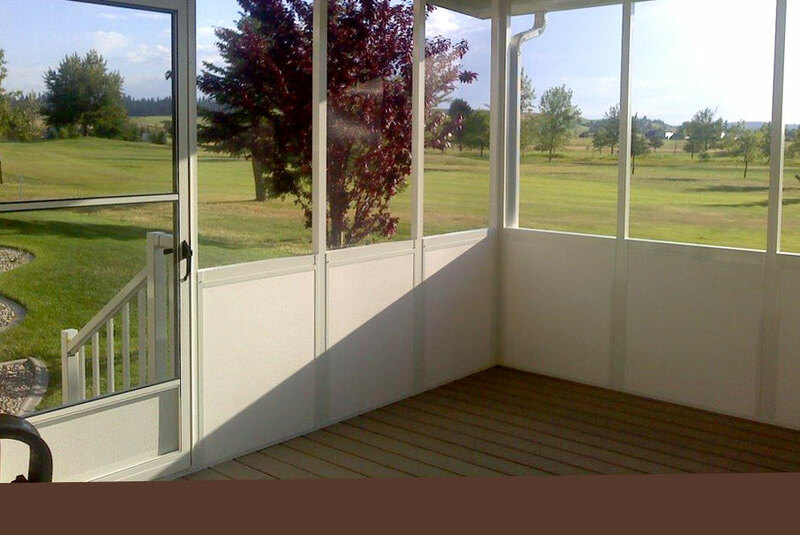 Screen room are economical solutions to enclose outdoor living areas. 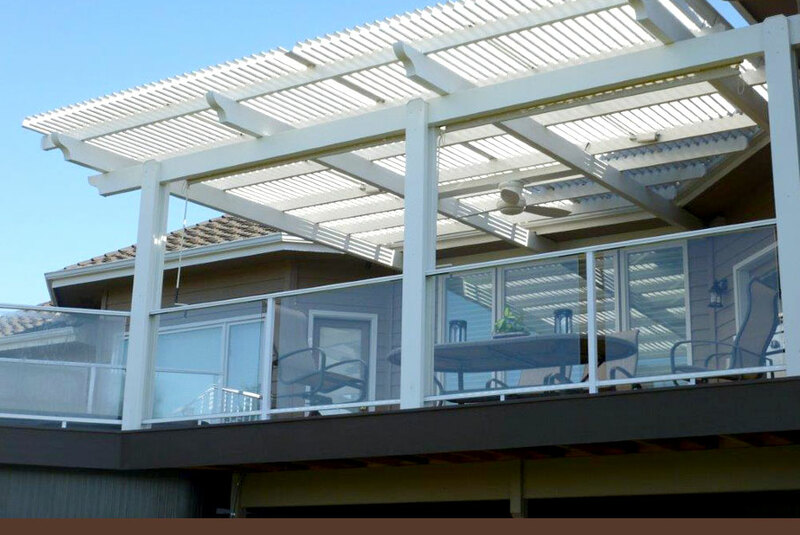 Aluminum railings provide safety and beauty in a wide range of styles and colors for decks, porches, and stairs. 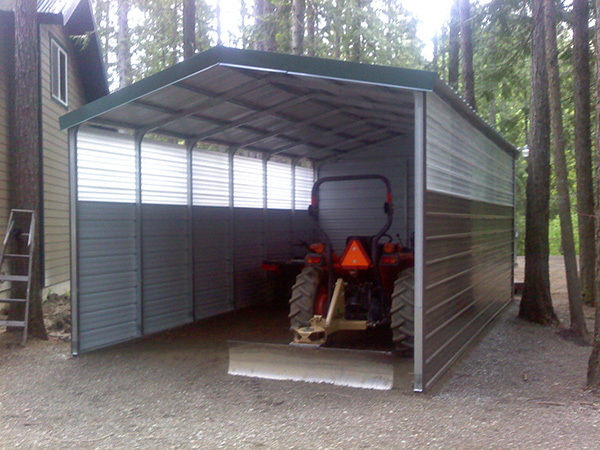 Alpine has a variety of metal carport options for protecting your RV, boat, or vehicle from the severe Northwest weather. 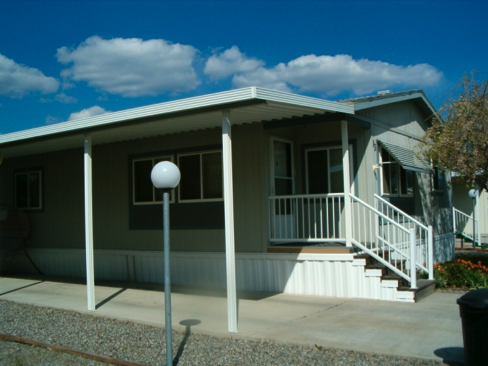 Manufactured home skirting and tie-downs are always in stock at the Alpine showroom for mobile home set-up. 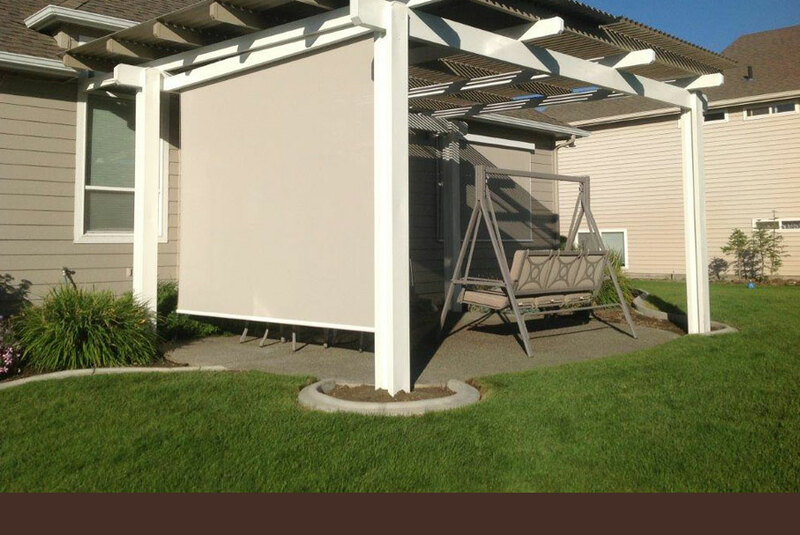 Alpine Patio and Home Products has been Providing Comfortable Outdoor Living options to Inland Northwest homeowners since 1977. 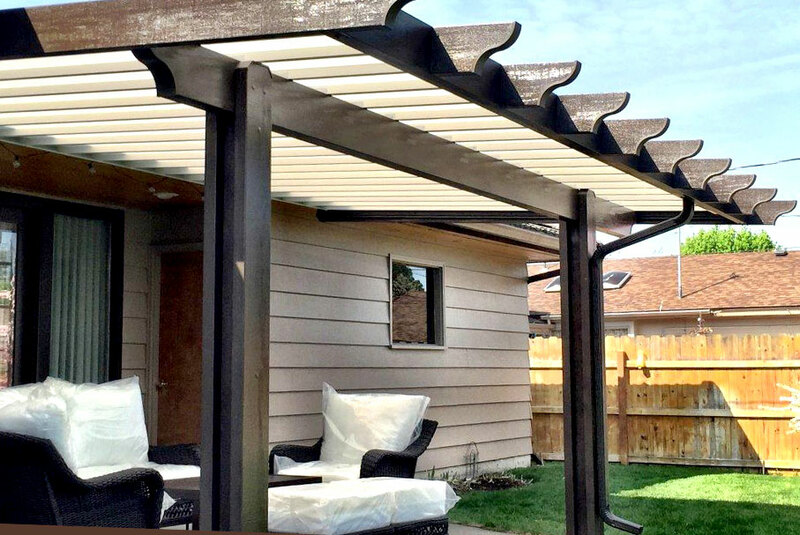 Whether you need shade from the sun or complete weather protection, the Outdoor Living Experts at Alpine will find the best solution for your home improvement needs. 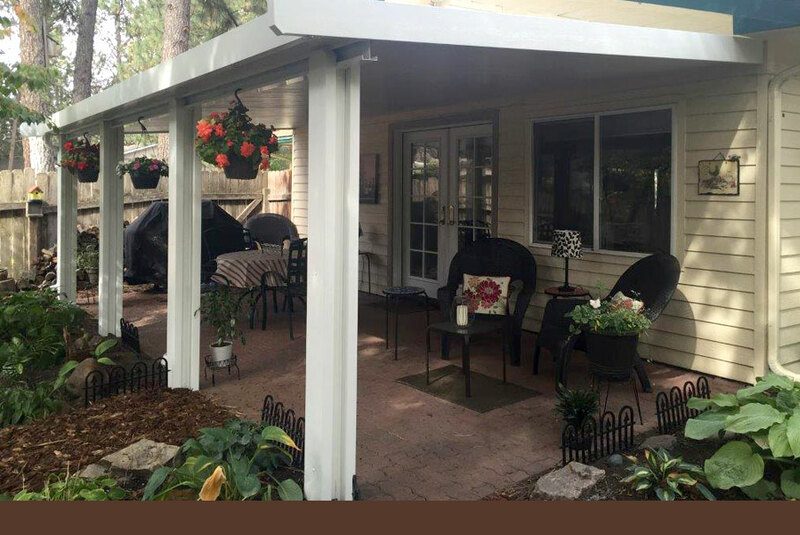 The family owned and operated Alpine team offers friendly advice and design ideas for contractors and do-it-yourselfers. Stop by our production facility and showroom to see the Outdoor Living Experts or call to schedule a consultation at your home.